You know the ’50s doo-wop song, “Lollipop.” (And now you probably can’t get it out of your head.) You also know “Mr. Sandman” (most notably featured in “Back to The Future”). 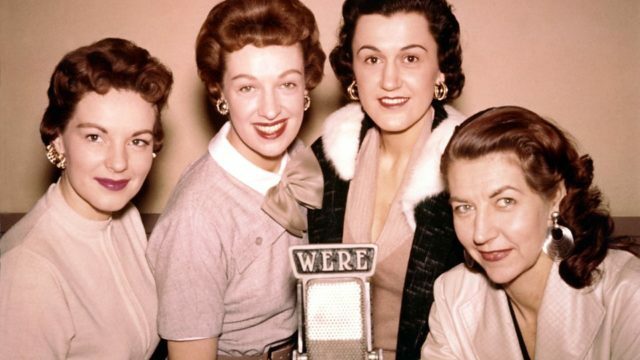 But did you know that the female vocal quartet who sang these songs were from Sheboygan, WI? Well now, with The Chordettes‘ recent recognition by the Wisconsin Area Music Industry, we’ll never forget. Read more and listen to the podcast episode below to hear us talk dedicate the first half of the show to remembering Harvey Scales and his lasting legacy on Milwaukee and beyond. Then, we talk about the WAMI awards and the newest Hall of Fame inductees.